Heeeeeeeeeeeee's back! 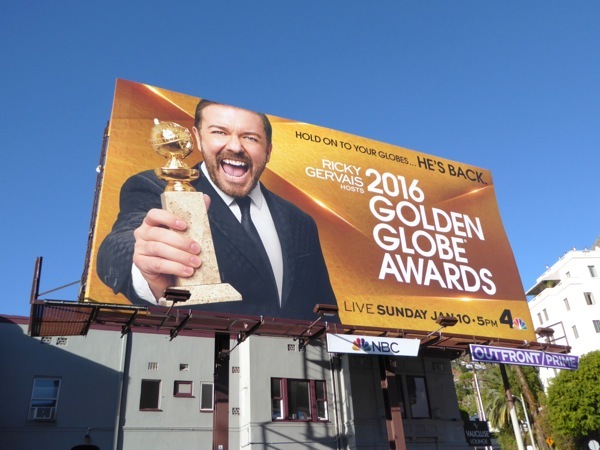 Ricky Gervais returns to host the 2016 Golden Globe Awards (for a fourth time) and let all of Hollywood's glitterati beware. Just how many people will be tuning in to find out the winners of this year's Golden Globes, and how many simply want to see who he insults, snubs, or pokes fun at, this time around. 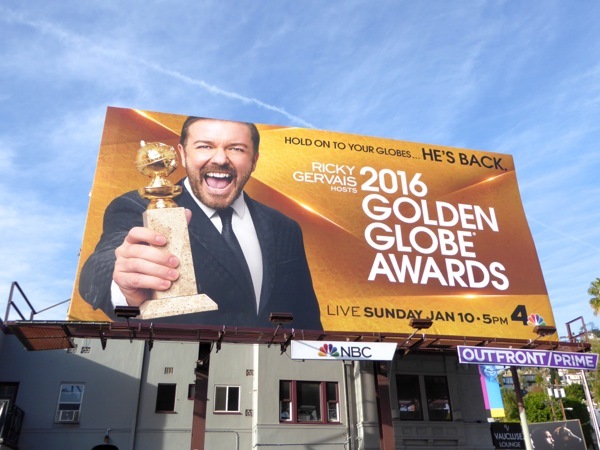 This billboard for the prestigious awards show, Hollywood's biggest party of the year, was first snapped along L.A.'s Sunset Strip on December 24, 2015. 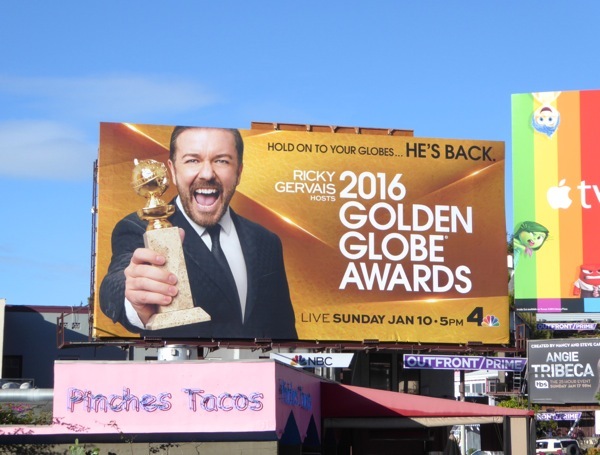 If you're a fan of the annual proceedings, be sure to also check out these previous Golden Globe Awards billboards featuring Amy Poehler and Tina Fey. 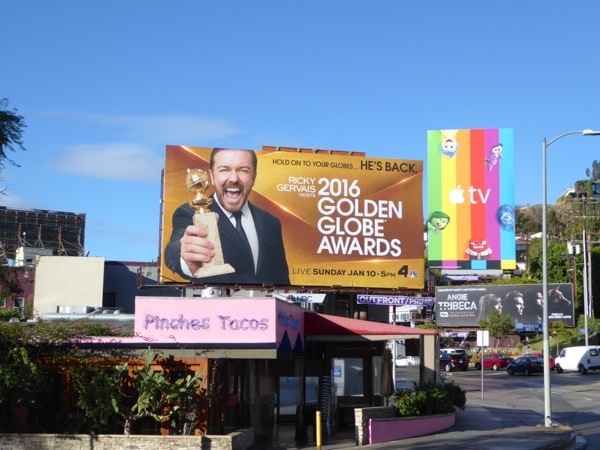 Meanwhile if you're a fan of the British comedian, writer and actor, you can also check Ricky Gervais out in these Derek series billboards and these billboards for Life's Too Short. Hold on to your globes and clutch those pearls, what will he say and what will he do, watch the celebrity-filled ceremony live today on NBC and find out.